Hitman has been an iconic series in the gaming industry since 2000 and the franchise has spawned many games after the success of the first game. Agent 47 always stood in a very dark spotlight in these games, where stealth was often the best key to victory, and he turned out to be one of the most badass characters in the history of gaming. Thanks to his success, a movie saw the light in 2007, titled Hitman, which sadly wasn’t a huge success. In 2015 another attempt was made of trying to portray the iconic agent 47 once more, but sadly it seems things haven’t truly gone in the right direction. As this is the first time we’re doing a review of iTunes’ digital movie service, we’ll also discuss this in our review. The Agent program has been one of the most dubious programs of all time, where human beings were programmed to become deadly assassins, who were seemingly superior to regularly trained soldiers. Of course this unconventional way of raising ‘children’ into assassins made sure the agents were often more machine than man, as they would follow orders blindly and toss away all their own personal feelings. Nonetheless, even though the program turned out to be a success, its inventor and founder Litvenko (Ciarán Hinds) vanished into thin air, leaving the project to waste away into nothingness. That being said, there are those who wish to restart the project, but lack the necessary knowledge to do so, and it seems only one person can help them with that, namely Katia van Dees (Hannah Ware), but like Litvenko, this young woman is hard to find. To make matters even worse, it seems the Syndicate (those who wish to make new agents) aren’t the only ones desperately trying to find Katia, but also those who still have agents under their employment wish to find the girl and dispose of her. When Agent 47 (Rupert Friend) gets called to resolve this job, he quickly tracks Katia down, but did not count on the fact that others were already at Katia’s doorstep as well. 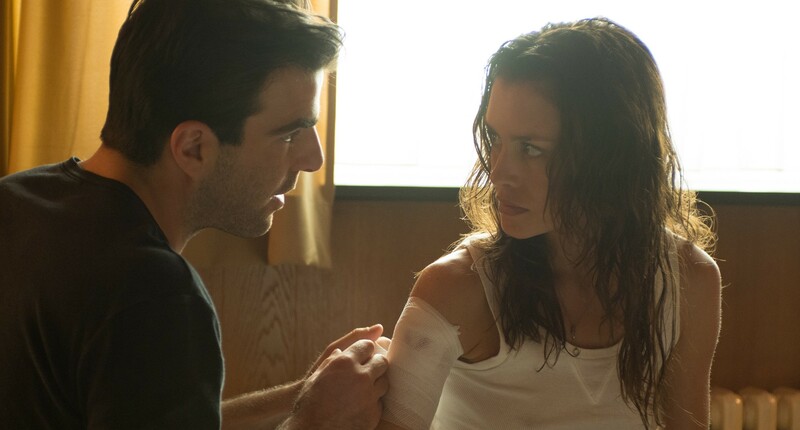 Katia is protected by another ‘agent’, named John Smith (Zachary Quinto), who seems to have a skill set of his own. Seeing 47 had several chances to dispose of Katia but didn’t, it seems that his past hasn’t let go of him completely, as it appears he knows Katia from his younger days, when he was still being programmed to become the ultimate assassin. Overall the pace is hard to describe for this movie, as the story feels somewhat incoherent and unclear, but in the end it just feels this way because there is not that much story value to go around. While the action sequences come at fitting moments, the dispersion of information feels a bit neglected, as you’re often wondering what the hell is going on, even though the overall premise of the story is actually quite simplistic. Acting performances prove to be decent, but never reach a stellar level, which could have done so much good for this movie. 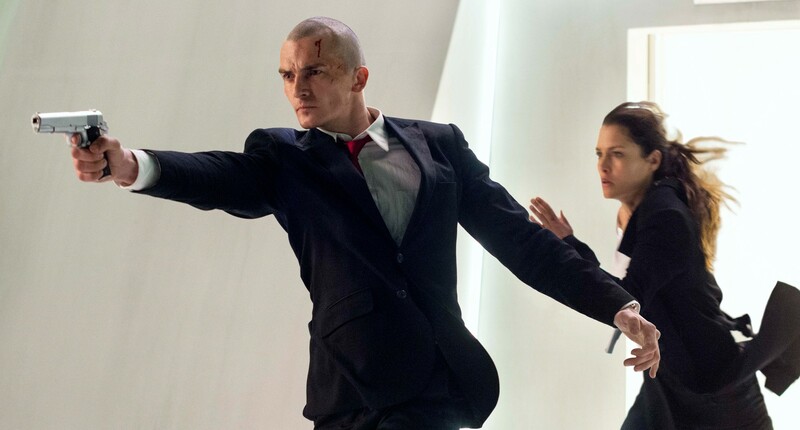 While Rupert Friend does a great job in portraying Agent 47, mainly thanks to his appearance and rather slender body type, Zachary Quinto feels a bit out of place with his attempt-to-be-a-macho character John Smith. Nonetheless, the overall quality of acting is sufficient, especially considering what plot they had to work with. As we received the DHD version, which works with Apple’s iTunes, we were wondering if it would come with any extra features or not. Luckily, the overpriced download does come with extras, namely the same ones as the Blu-ray version. You’ll be treated to some of the choreography of the fight scenes and other typical content, and there’s also a comic book for you to enjoy, which does read easier when you’re sitting behind your PC monitor. Nonetheless, the comic book is still depicted in a too small fashion to be a very enjoyable read. A few remarks about the DHD system are actually that the item is overpriced, seeing you can only use it on PC or Apple devices, which means it’s quite hard to see the movie on your television, which is still probably the most comfortable way to enjoy a movie. While Apple lovers will surely find their pick of the litter with these downloads, those who aren’t loyal fans of throwing money around to get their products, are left wanting more. Not only is iTunes pure rubbish that is slow as hell, it also makes your movie load at speeds where one might think your internet connection has either frozen or died. Those who purchase a digital copy, as this seems to be the future, and do not own an HD monitor will be sorely disappointed, as the movie cannot be played in a ‘lower’ quality, to suit the needs of those who haven’t invested in a monitor yet. Of course, this problem will soon disappear, as most people are slowly starting to switch to better equipment. Nonetheless, do yourself a favor and purchase the real physical deal, as most of these movies will soon find their way to the discount bin anyway and you actually have something to hold in your hands rather than a digital version that is not supported by all devices. 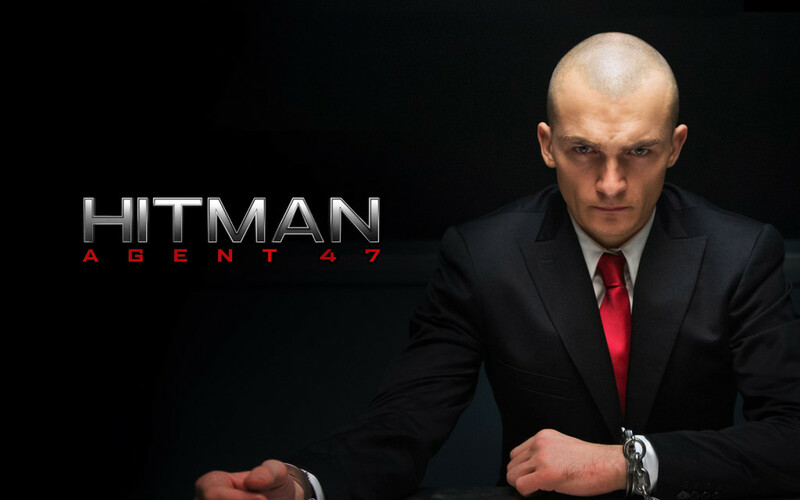 Hitman: Agent 47 is one of those movies that tries to ride the waves of success from a great franchise, but isn’t able to get on the surfboard when doing so. While the movie is worth a watch, if you’re into Hitman or just like action movies in general, the story value is quite slim and the acting performances never transcend the shoddy storytelling. Things stay superficial from start to finish, where the only key points end up being rather predictable and poorly worked out. Nonetheless, if you’re able to shut down your thoughts about the franchise in general, this one might offer some enjoyment on a boring evening.